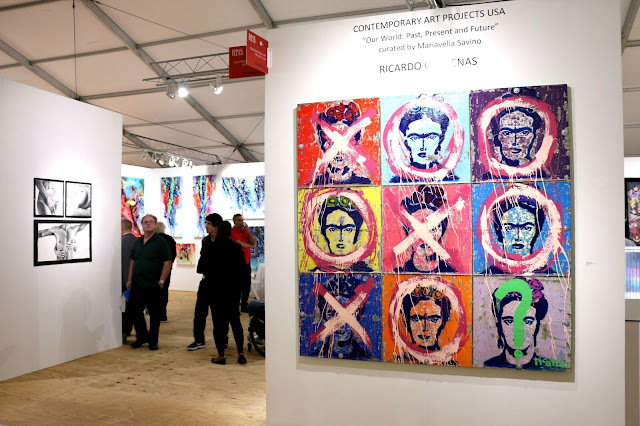 Are you ready for South Florida's largest tennis tournament? After being a part of this grand event for the past 5 years, I cannot imagine being anywhere else in the world during this two week tennis extravaganza (March 22- April 4, 2010). When I was a young ballgirl, I handed players like Andy Roddick their tennis balls during major matches inside Stadium Court. Last year, I stood by Roger Federer as he signed autographs inside the racket tent for a never ending line of fans! With every experience, my love for tennis keeps growing and I always try to encourage others to visit the courts. 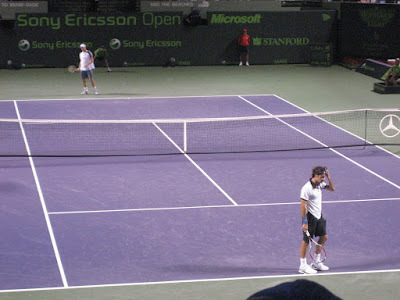 The Sony Ericsson Open is one of nine ATP Masters Series events on the ATP calendar. This tournament attracts the top men's and women's players from all over the world along with their loyal fans. 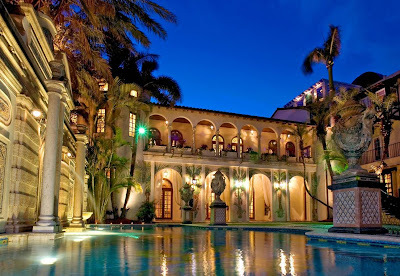 All matches take place at the beautiful Tennis Center at Crandon Park in Key Biscayne. You should purchase your tickets early to make sure you watch the biggest players battle their way into the finals. Serena Williams, the top ranked women’s player in the world, brings her hard-hitting, electrifying game of tennis to the 2010 Sony Ericsson Open when she begins her quest for a record breaking sixth title in Miami on Thursday, March 25th (Session 4) at 7 p.m. In case you're wondering: the top 96 players on both the ATP and Sony Ericsson WTA Tours come out to play on the purple courts for one of the most prestigious titles in tennis. World No. 1 Roger Federer will begin his attempt for a third Sony Ericsson Open title on Saturday, March 27th (Session 8) at 8:00 p.m. Federer’s potential opponents will be determined when the men’s tournament draw is announced on March 22nd at 12:00 p.m. If you're looking to have an AMAZING time with your friends, then start spreading the news. 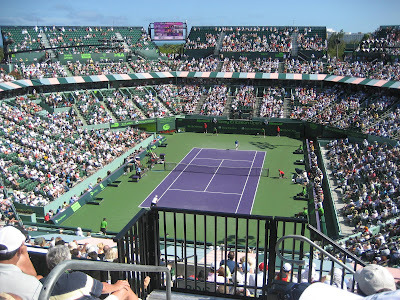 The Sony Ericsson Open is more than just tennis, it is a complete entertainment experience. Whether it’s high fashion, fine dining, fantastic shopping or great tennis action, there is something for everyone. 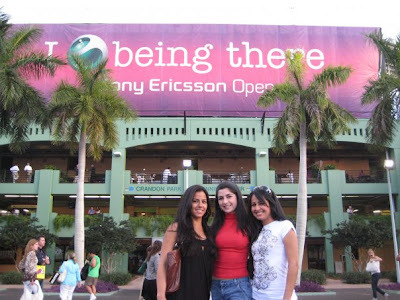 Tickets to the Sony Ericsson Open can be purchased by phone (305-442-3367) or via the internet at www.sonyericssonopen.com. The two weeks of tennis conclude with the women’s final on Saturday, April 3rd and the men’s final on Sunday, April 4th. See you at the Tennis Center and always come prepared for rain or shine!